Our menu covers are built to last, delivering the durability demanded by today’s food service operations. 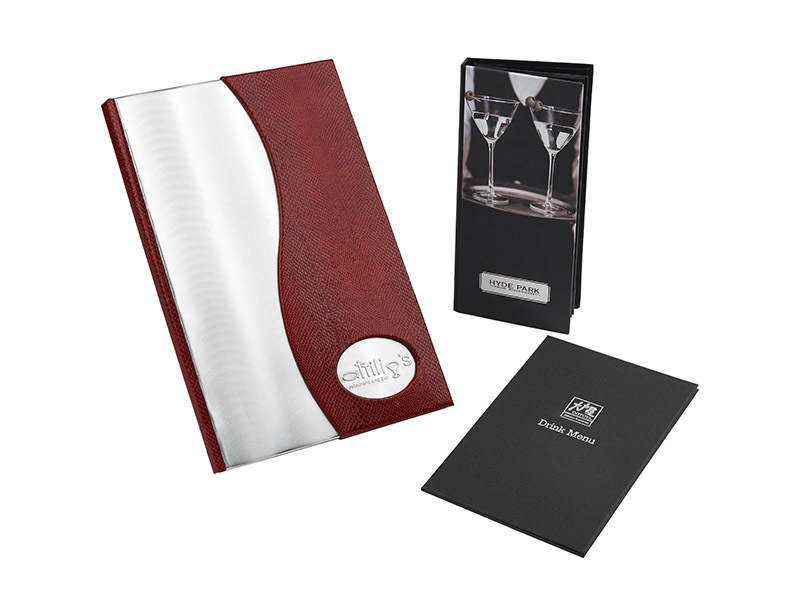 In leather or turned-edge, they’re available in complete sets, including menu covers, wine lists and check presenters. Choose the color and customized images that best fit your restaurant’s theme and décor – complete with deboss, foil stamp or silk screen options. We also offer a number of accessory items including table tents, menu insert paper, and add-a-pages.